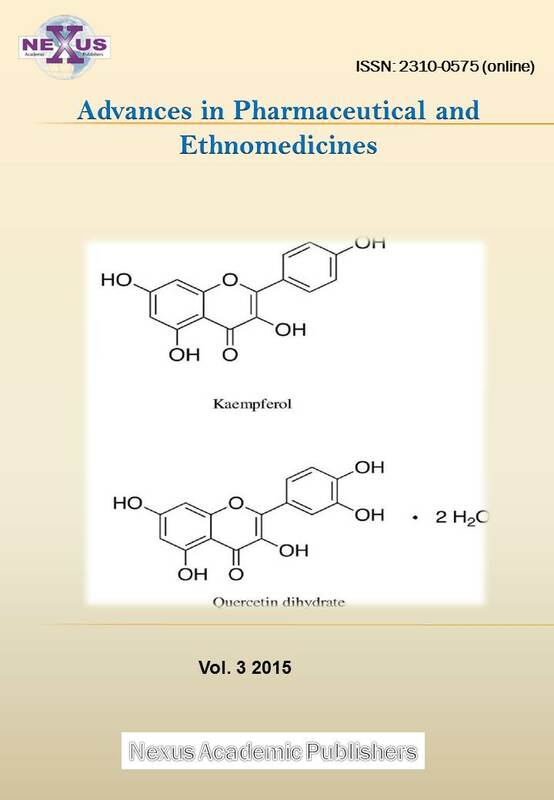 ARTICLE CITATION: Deb R, Singh U, Kumar S, Tyagi S, Sharma A, Kumar A, Sengar G, Singh R (2013). Characterization and Evaluation of BL41 Microsatellite Marker Associated with Milk Fat and Protein Percentage among Frieswal (HF x Sahiwal ) Cattle of Indian Origin. Adv. Anim. Vet. Sci. 1 (3): 77 – 79. 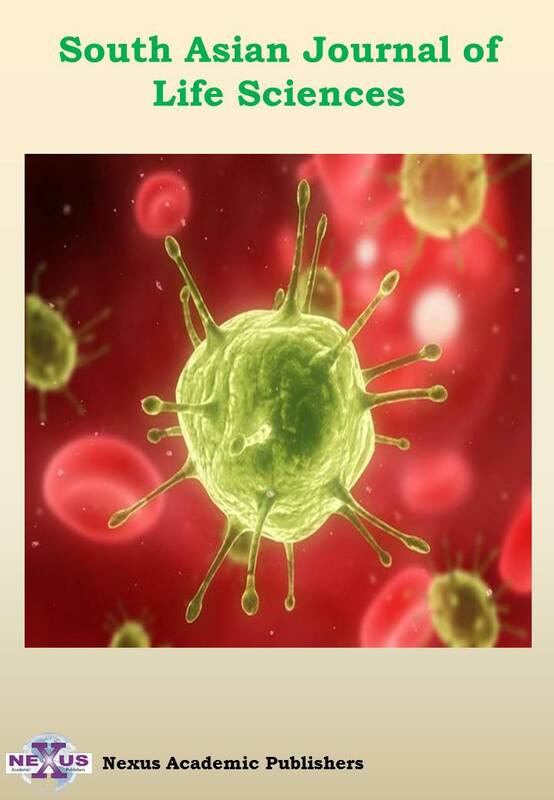 BL41 is an autosomal microsatellite marker located at the region of bovine chromosome 3 (BTA3) which are well known for its lactogenic trait QTL property. In the present study, we have amplified the BL41 gene of Frieswal (HFx Sahiwal) crossbreed cattle of India. Genotyping of the BL41 was done by outsourcing. Analysis revealed that Frieswal cow genome has seven allelic pattern of BL41 microsatellite marker and among them 245 bp allele is most frequently distributed in this bred. Direct count heterozygosity, Unbiased heterozygosity and Polymorphic information content of BL41 studied were 0.78, 0.79 and 0.76 respectively. A higher level of fat (4.45±0.05) and protein (3.09±0.09) percentage were observed among 238 and 234 allele of Frieswal BL41 microsatellite marker, respectively. Microsatellites, alternatively known as simple sequence repeats (SSRs), short tandem repeats (STRs) or simple sequence length polymorphisms (SSLPs) are tandem repeats of sequence units generally less than 5 bp in length (Bruford and Wayne 1993). These markers appear to be hypervariable, in addition to which their co-dominance and reproducibility make them ideal for genome mapping as well as for population genetic studies (Dayanandan et al. 1998). Identification of molecular marker in modern genetics is an important challenge. Heyen et al. (1999) performed a microsatellite–based genome scan to detected QTL associated with milk production and milk composition. Studies reported that quantitative trait loci affecting milk yield (MY) and milk composition were localized to a region of bovine chromosome 3 (BTA3) are linked to a microsatellite marker BL41, which are located at 42 cM on the cattle linkage map (Rodriguez et al. 2002, Ihara et al. 2004). Thomas et al. (2012) also reported that BL41 microsatellite marker are informative as their PIC were 0.85 and are associated with milk fat percentage among Indian cross breed cattle developed in Kerala.The aim of the present study was to identify, characterize the BL41 microsatellite marker of an Indian cross bred Frieswal (HFx Sahiwal) cattle genome and further to evaluate the association ship of this candidate with milk fat and protein percentage. The cattle resource population for the present study consisted of randomly selected 93 lactating Frieswal (HF x Sahiwal) cows from the herd maintained at Military Farm, Meerut, Uttar Pradesh, India. Blood samples were collected and gDNA was isolated using standard phenol chloroform method described by Sambrook and Russel (2001). For the amplification of BL41 microsatellite marker gene from genomic DNA, primer sequences as were taken as reported by Thomas et al (2012) (Table 1). At the 5’ end of the forward primer we have added 6, FAM (Golbia, Bioserver, India) . The polymerase chain reactions (PCR) were carried out in a total volume of 25 μl solution containing 50 ng/μl of template DNA, 1X buffer (Tris–HCl 100 mmol/l, pH 8.3; KCl 500 mmol/l), 0.25 μmol/l primers, 2.0 mmol/l MgCl2, 0.25 mmol/l dNTPs, and 0.5U Taq DNA polymerase (Sigma–aldrich, USA). The polymerase chain reaction (PCR) protocol was 94oC for 5 min, followed by 35 cycles of 94oC for 30 s, annealing at 550C for 30 s and 72oC for 30 s, and a final extension at 72oC for 8 min. The PCR products were separated on 1.0% agarose gel (Sigma–aldrich, USA) including 0.5 μg/ml of ethidium bromide, photographed under Gel Documentation system (Alpha imager® EP). Amplified PCR products were gel purified and sent for genotyping by outsourcing (Customer Support Team, SciGenom Labs Pvt Ltd, India). 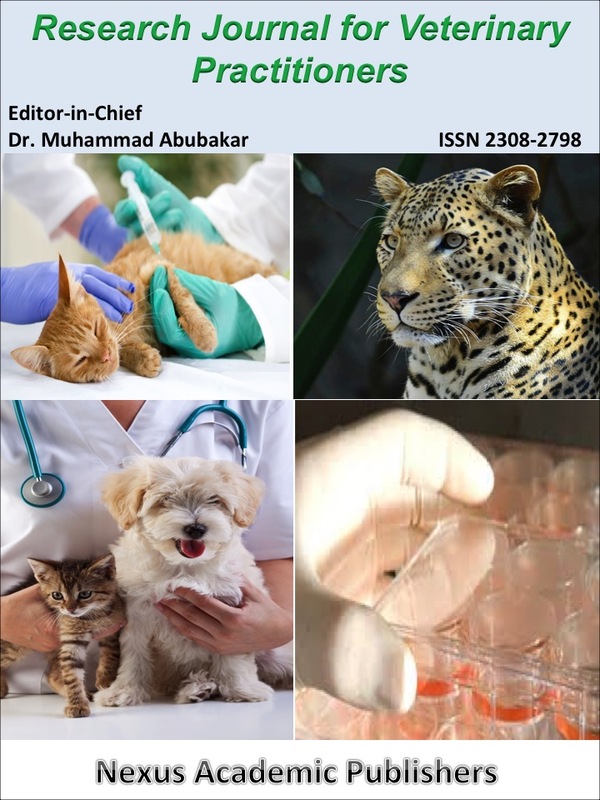 After analysis of the results animals were genotyped and each genotype was run in 6% denaturation polyacrylamide gel electrophoresis. Estimation of allele frequency was done manually by direct counting. Finally allele size, number of alleles, allele frequency and heterozygosity was calculated. Where, Pi – is the frequency of ith allele and n is number of observation. PIC of BL41 microsatellite marker was estimated by the following formula (Botstein et al., 1980). Where, Pi and Pj – is the frequency of ith and jth allele respectively, n is number of observation. Average and standard error were calculated as normal procedure and each data were represented as Average± SE. Results demonstrated that Frieswal cow genome having seven different kinds of alleles for BL41 microsatellite markers. Their distribution revealed that 245 base pair is most frequent as compare to other seven alleles identified among Frieswal cow genome. Allele frequency, direct heterozygosity, unbiased heterozygosity and PIC were calculated and data has been shown (Table 2). Different haplotypes identified after genotyping has been shown (Figure 1). Association analysis with milk fat and protein percentage revealed that allele 238 showing a comparatively highest fat percentage (4.45±0.05) as compare to others where as allele 234 having highest protein percentage (3.09±0.09) in comparison to other counterparts (Table 3). Microsatellite DNA markers have been well studied for identification of QTL and Marker assisted selection (MAS). According to the selective standards of microsatellite DNA loci, microsatellite loci ought to have at least four alleles to be an effective marker (Pandey et al. 2002). Heterozygosity is an appropriate measure of genetic variability within a population when populations are expanding (Hanslik et al. 2000). According to FAO (1995), Markers were classified as informative when PIC was ≥ 0.5 . Findings of the present study revealed that BL41 of Frieswal are informative as it’s PIC is more than ≥ 0.5 as well more than four allele as and thus it may be further useful marker for analysis the genetic diversity. Previously many others reported that microsatellite alleles are associated with some QTLs, for eg. 136 bp allele of BM1500 associate with weight gain in beef cattle and live weight in Holestein Friesian cattle (Almeida et al. 2007), 138 bp of allele of BM1500 are associated with fat deposition in beef cattle (Fitzsimmons et al. 1998). Liefers et al. (2002) could not find any positive correlation between BM1500 polymorphism and milk production traits among Holestein Friesan cattle. Thomas et al. 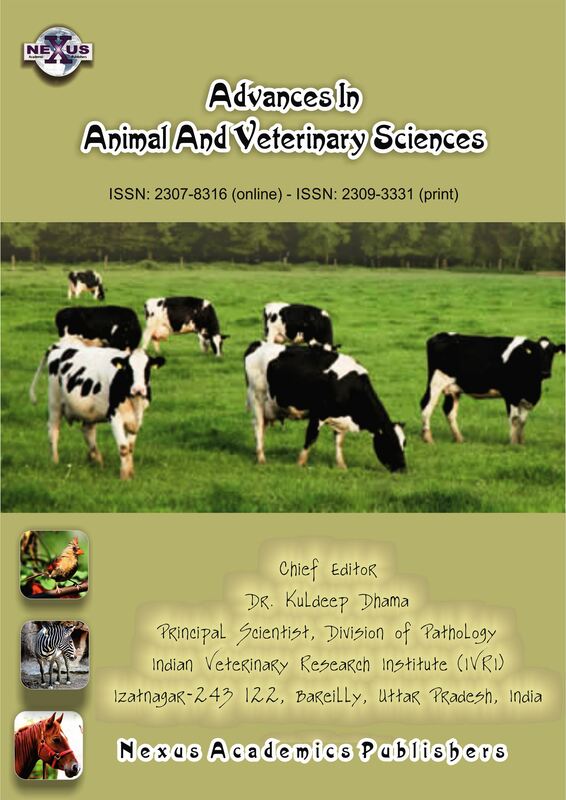 (2012) reported that BL41 microsatellite are informative marker which are associated with milk fat percentage among Indian cross breed cattle developed in Kerala. In the present study we have observed that BL41 alleles may be associated with both fat and protein percentage among Frieswal crossbred cattle developed in India. Further for effective microsatellite based MAS it need to be analyzed in large number of DNA samples and also need to evaluate other autosomal microsatellite markers associated with milk production traits among Frieswal cattle genome. Present findings revealed that Frieswal (HFx Sahiwal) cattle breed of Indian origin having seven allelic patterns of BL41 microsatellite marker and in which 245 bp allele is most frequently present. Direct count heterozygosity, Unbiased heterozygosity and Polymorphic information content of BL41 studied were 0.78, 0.79 and 0.76, respectively. A higher level of fat (4.45±0.05) and protein (3.09±0.09) percentage were observed among 238 and 234 allele of Frieswal BL41 microsatellite marker respectively. The information generated in the present study may further initiate research to evaluate different kind of microsatellite markers for association analysis with milk production and other QTL traits. The authors are thankful to the Directorate to provide all the necessary facilities to conduct the present work. Authors are also thankful to the Incharge Military Farm for providing the blood samples. Almeida S E M, De Almeida E A, Terra G, Neves J P, Concalves PB D, De Azevedo WT (2007).Association between molecular markers linked to leptin gene and weight gain in postpartum beef cows. Cien. Rural 37, 206-211. Botstein D, White R L, Skolnick M and Davis R W (1980). Construction of a genetic linkage map in man using restriction fragment length polymorphisms. Am. J. Hum. Genet. 32:314- 331. Bruford M W and Wayne R K (1993). Microsatellites and their application to population genetic studies. Curr. Opinion Gen. Dev. 3(6): 939-943. Dayanandan S, Rajora O P and Bawa K S (1998). Isolation and characterisation of microsatellites in trembling aspen (Populus tremuloides). Theor. Appl. Genet. 96: 950‐956. Food and Agricultural Organization of the United Nations (FAO) (1995). world watch list. Hanslik S, Harr B, Brem G and Schlotterer C (2000) . Microsatellite analysis reveals substantial genetic differentiation between contemporary New World and Old World Holstein-Friesian populations. Anim. Genet. 31:31-38. Fitzsimmons C J, Schmutz S M, Bergen R D, Mckinnon J J (1998). A potential association between the BM1500 microsatellite and fat deposition in beef cattle. Mamm. Genome 9, 432-434. Heyen D W, Weller J I, Ron M, Band M, Beever J E, Feldmesser E, Da Y, Wiggans G R, Vanraden P M and Lewin H A (1999). A genome scan for QTL influencing milk production and health traits in dairy cattle. Physiol Genomics 1: 165-175. Ihara N, Takasuga A, Mizoshita K, Takeda H, Sugimoto M, Mizoguchi Y, Hirano T, Itoh T, Watanabe T, Reed K M, Snelling W M, S. Kappes M, Beattie CW, Bennett GL and Sugimoto Y (2004). A comprehensive genetic map of the cattle genome based on 3802 microsatellites. Genome Res. 14: 1987-1998. Liefers S C, Te Pas, M F W , Veerkamp R F and Van Der Lende T (2002).Associations between leptin gene polymorphisms and production, live weight, energy balance, feed intake, and fertility in Holstein heifers. J. Dairy Sci. 85, 1633-1638. Nei M (1973). The Theory and Estimation of Genetic Distance. In: Genetic Structure of populations (Ed. N. E. Morton). University of Hawaii Press, Honolulu. pp. 45-54. 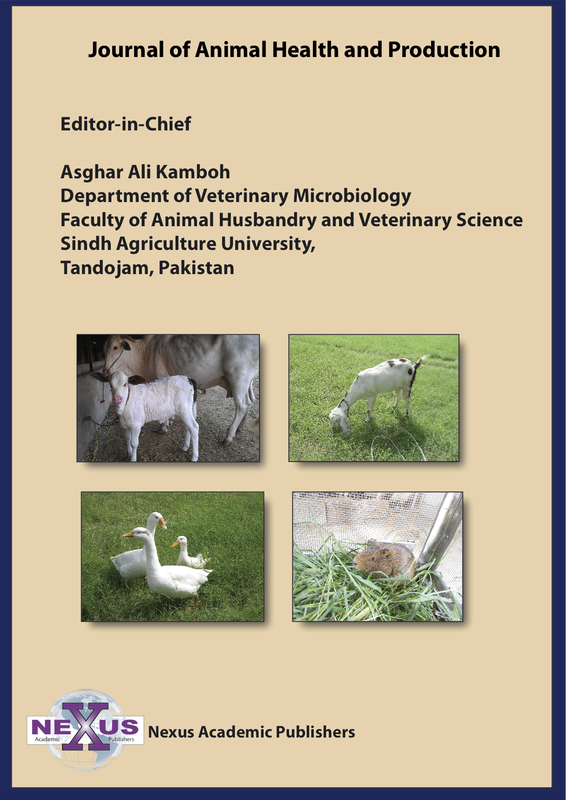 Pandey A K, Tantia M S, Kumar D, Mishra, BP, Chaudhary P and Vijh RK (2002) .Microsatellite analysis of three poultry breeds of India. Asian-Aust. J. Anim. Sci. 15:1536-1542. Rodriguez-Zas S L, Southey B R, Heyen D W and Lewin H A (2002). Interval and composite interval mapping of somatic cell score, yield, and components of milk in dairy cattle. J Dairy Sci 85: 3081-3091. Sambrook J D and Russel W (2001). 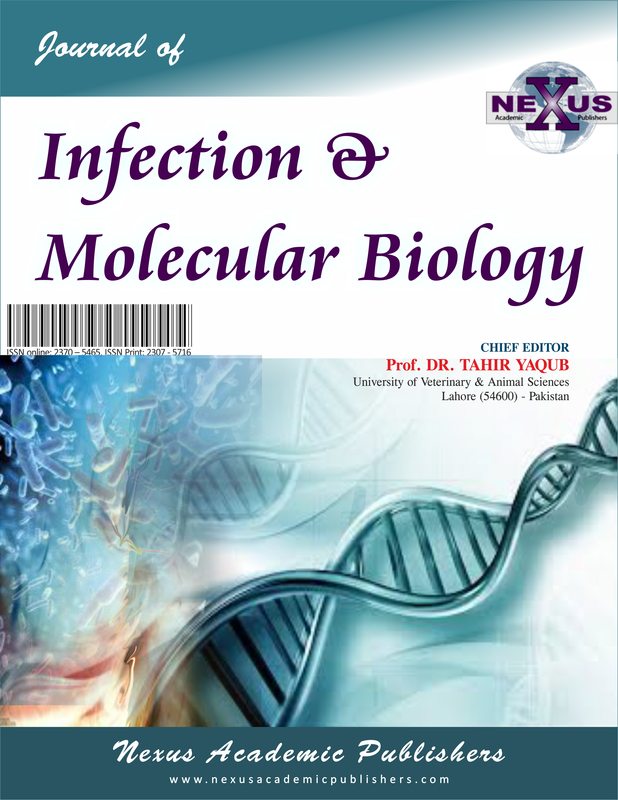 Molecular Cloning: A Laboratory Manual. 3rd edition. 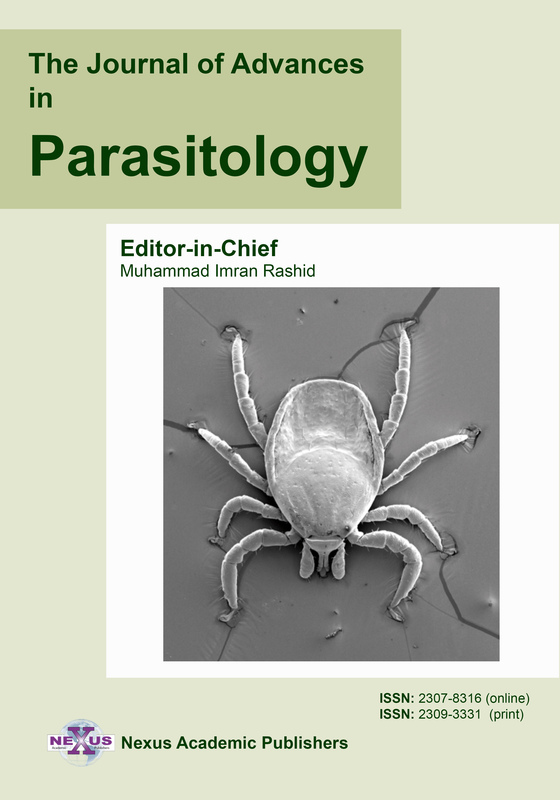 Cold Spring Harbor, New York, USA: Cold Spring Harbor Laboratory Press. Thomas N K, Kumar A and Usha AP (2012). Study on the association of three microsatellite DNA markers with milk fat percentage in crossbred dairy cattle of kerala. Indian J of Anim Res. 46(1): 46-50.